Shira the dog might be the best big sister ever. 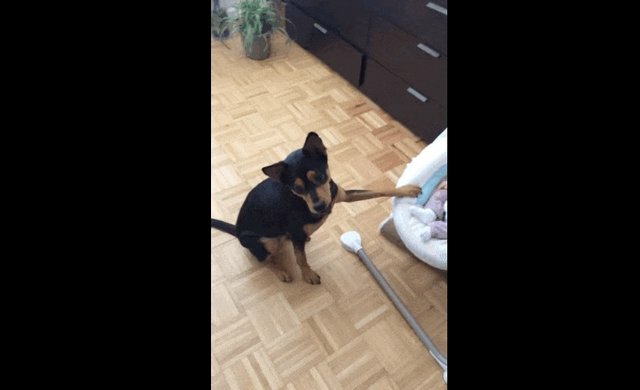 As soon as her parents ask her to rock the baby, she puts her tiny paw on her little human's chair and starts pushing it - probably giving Mom and Dad a much-needed break. As soon as Shira learns how to change a diaper, she'll be able to take over all the parenting duties. But as it turns out, she isn't just rocking the baby out of the goodness of her little heart - she's also in it for the treats. 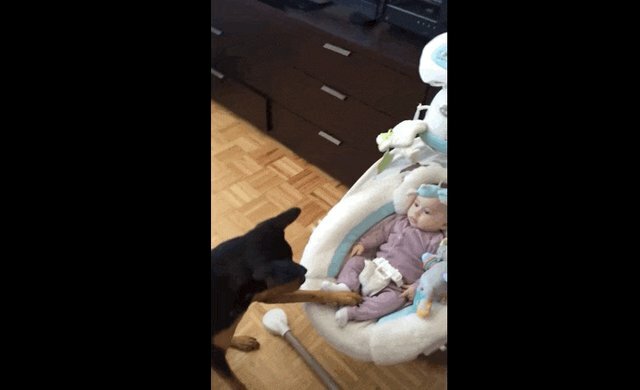 Love dogs who love their babies? 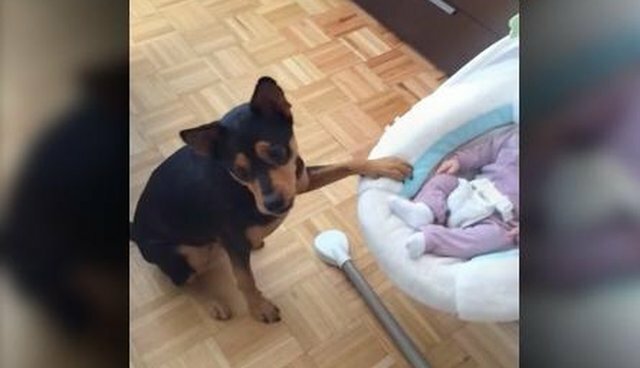 Check out these 23 adorable pooches who are best friends with their baby sibs.